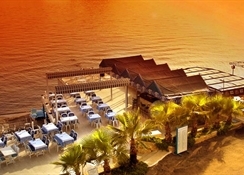 The Skysea Hotel is situated 700 metres from the centre of Turgutreis and 12 miles from the centre of Bodrum in Turkey. This elegant and stylish town has retained much of its charm and the main square has a selection of restaurants, bars and cafes around it. The sandy beach stretches from the centre along the peninsula and the recent addition of a marina gives the area a cosmopolitan feel. There is also a good selection of water sports, boat trips and a dive school nearby. 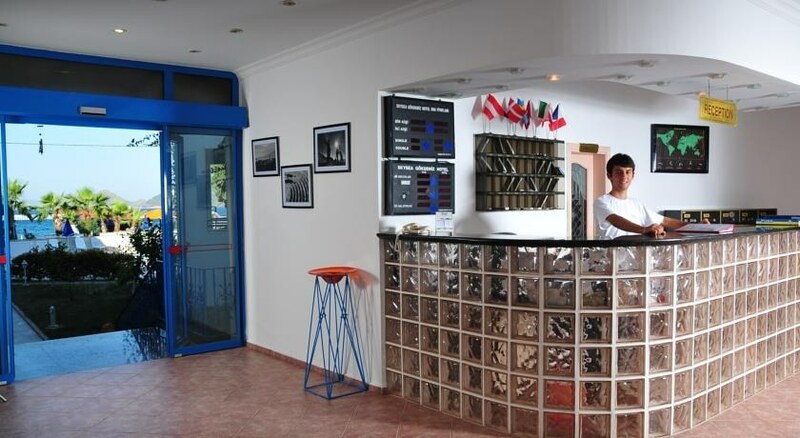 The Hotel Skysea has 35 comfortable guestrooms, all of which are air conditioned and have satellite television facilities and a minibar. This Turgutreis hotel has its own pool, a restaurant with seating inside and out, a cafe/bar and a snack bar. The beach and sea are just a few steps away making the Skysea Hotel an excellent choice for a relaxing beach based holiday in Turkey. 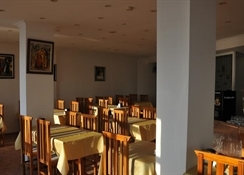 This hotel offers a good standard of accommodation in a great beach front location and is a popular choice with couples and families holidaying in Turgutreis. 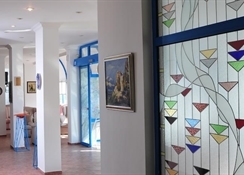 The hotel has a swimming pool with a separate area for children and a spacious terrace furnished with loungers. The hotel has a restaurant and a couple of bars.